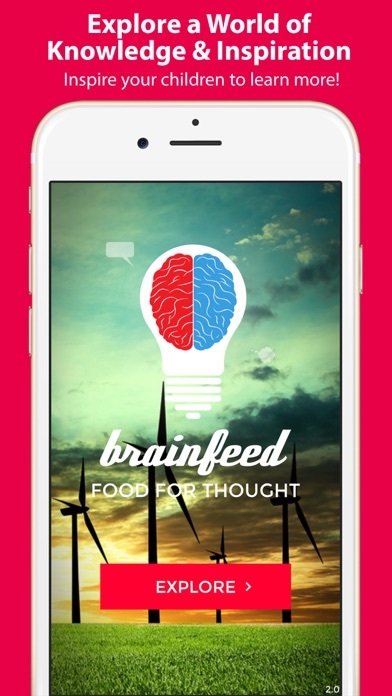 In just a few words Brainfeed is everything that the name signifies. 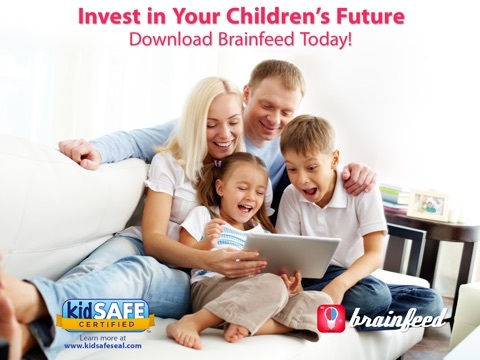 This app is pure food for the brain that both children and parents alike will enjoy. 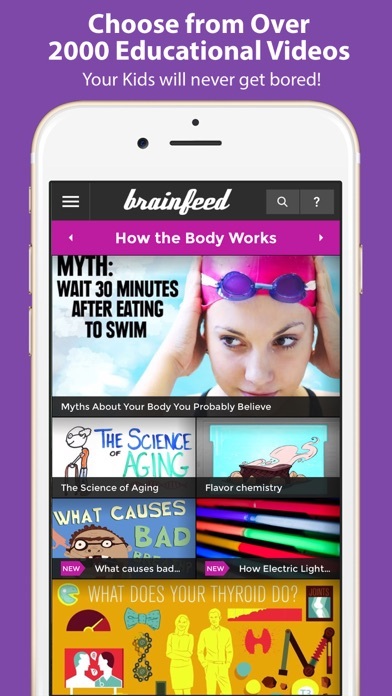 This incredible app is full of amazing videos that will teach viewers a little bit of everything. Videos on the brain, dreaming, specific animals, inventions, the ocean, etc. this app seems to have it all. 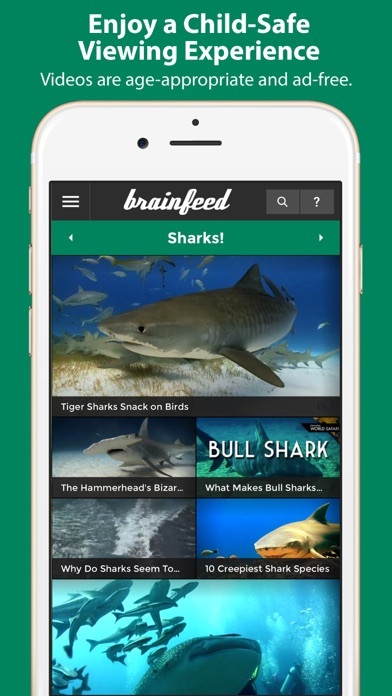 Great for children of all ages, Brainfeed is one app that you can play with for hours and still not view everything it has to offer. Without a doubt the quality of this app is astonishing. With so many amazing videos included it is hard to believe that they all have amazing visual and audio quality. Every video is crystal clear and quite entertaining to watch. The audio is also clear and many of the videos are accompanied with narration or music to keep children engaged and learning. 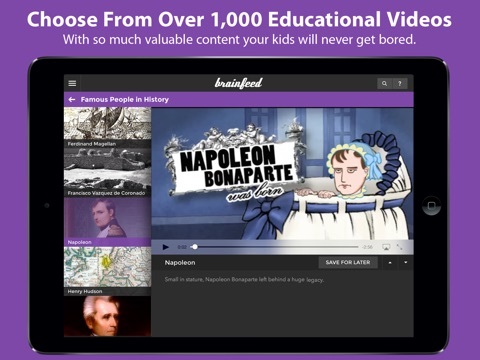 The developers have also done a nice job making the app easy to use by organizing the videos in various topics. 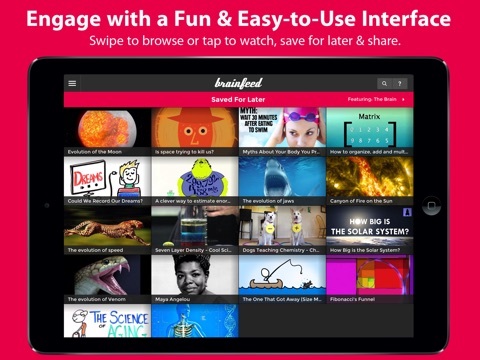 All viewers have to do is select a topic and tap a video within that topic that they want to watch. This simple tap and touch model makes it super easy for children of all ages. To say this app is merely educational would be an understatement. 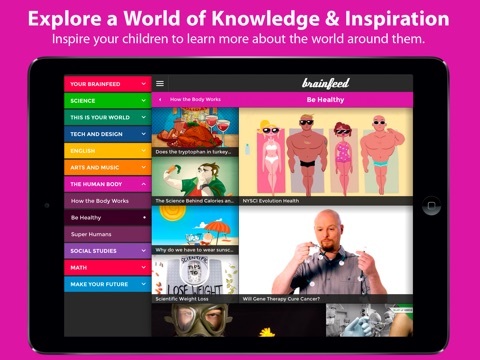 There are so many things that children can learn in this app that it would be difficult to list them all. Some of the main topics include: Science, Tech and Design, English, Arts and Music, Math, The Human Body etc. Within each category there are a variety of videos that use a combination of visuals set to music, illustrations, and documentaries to teach viewers fun facts about the Universe, Mars, or Robotics. Another thing I love about this app is that the developers have made sure to include many videos that are less than 10 minutes long. Since children may not want to sit and watch a long documentary, the shorter videos teach some great information in small spurts. There are also longer films that can be as long as an hour for some of the more in-depth topics like the video ‘Universe or Multiverse’. Overall the educational value of this app is magnificent and parents, teachers, and children are going to love it! 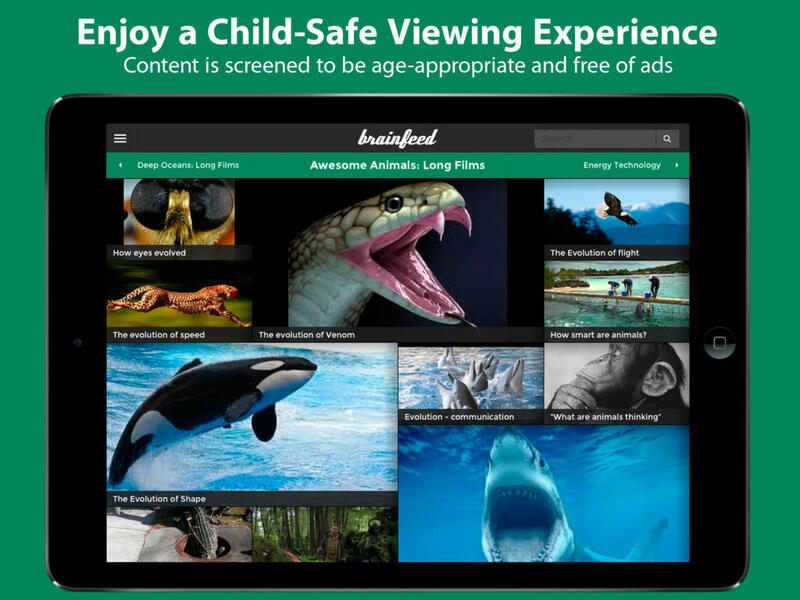 While there aren’t specific entertainment activities or games in this app, children will still enjoy many of the videos that are included. Videos about music, animals, the ocean etc. are all very intriguing and entertaining videos. One of my favorites is a video that shows how penguins launch themselves out of the water. The videos are fascinating and there is something here for everyone. Kids are going to love it. The great thing about this app is that there is a free version (that includes 100+ videos) along with additional subscription options that will unlock 1000+ videos at various price points. The price points range from $1.99 to $14.99 which isn’t a bad deal when you consider everything that is included in one place. Parents may decide to check out the free version before making any purchases and I am certain they will find this app to be a magnificent deal! The developers have done a great job making this app easy to use for children of all ages. The material is organized very well and by simply tapping and touching each video they can watch whatever they choose. The in app purchase links are shown as locks on the videos not included in the free version and are protected which is great. The developers have also made sure not to include any social media links or other advertisements making this app not only easy to use, but safe too.